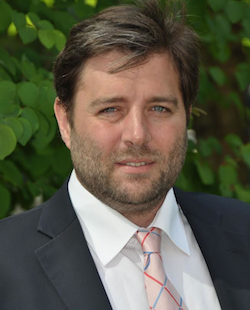 Nicolas Legrégeois is the Offshore General Manager for North America for the Marine & Offshore Division of Bureau Veritas. Based in Houston, Mr. Legrégeois is leading business development and is in charge of the technical team responsible for Plan Approval, Classification, Certification and Verification, Approval in Principle, Independent and Risk Analyses and Asset Integrity Management for Ships, Offshore Units, Drilling Units and Subsea Systems. He started his career with Bureau Veritas in 2001 as a Marine Engineer and joined the Offshore Projects Department in 2005 as an Offshore Project Manager. Mr. Legrégeois holds a master's degree in Mechanical Engineering from Pierre et Marie Curie University (Paris VI-UPMC Sorbonne Universités, France) and a Masters in Naval Architecture and Offshore Engineering from the Ecole Nationale Supérieure de Techniques Avancées (ENSTA, Paris, France).